Perhaps one of the most intriguing spots in Palo Alto is the Gunn tunnel network. 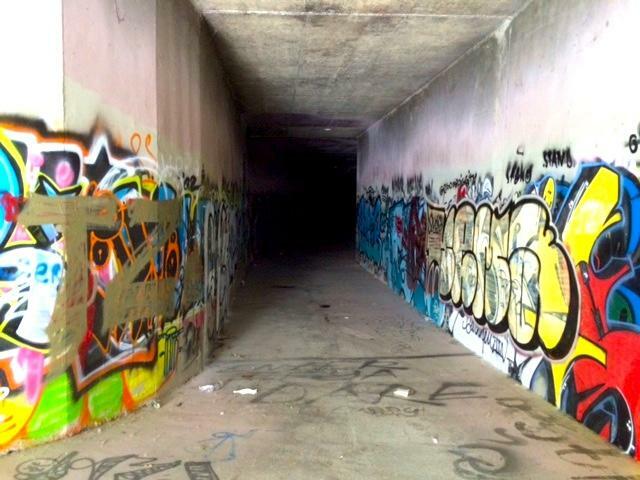 The tunnels, located below Bol Park and Gunn High School, were originally built for water drainage purposes but have since been repurposed by generations of Palo Alto teens for exploration, loitering and graffiti. Although tresspassing in the tunnels is technically illegal, the interior walls are layered in student-created art, including giant portraits of Bart and Homer Simpson and a couple of hastily scrawled ghost stories. To access the tunnels, prospective explorers must climb down a tiered wall and ford a section of river via wooden beam. If you advance beyond the entrance chamber, the tunnels are pitch black, so a flashlight is a necessity. TAGS Graffitti adds color to the Gunn Tunnels. 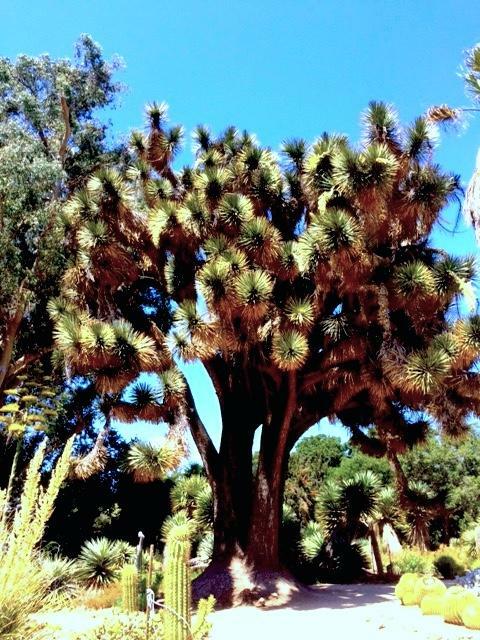 The Stanford Cactus Garden hosts a variety of cacti, from small flowered spike-balls to giant sprawling trees. Crisscrossing paths provide visitors with walking as well as cactus-viewing opportunities. The cacti come in different shapes and sizes, ranging from century plants, which flower only once in their lifetime, to yucca and prickly pear cactus. The garden, first planted in the late 1800s for Jane and Leland Stanford, provides a serene and pleasant atmosphere for meditation, exploration or high-intensity water gun fights. BIG AND SPIKY Cacti and trees such as this one provide the Stanford Cactus Garden with character, rendering it unique. NOTHING BUT FLOWERS Palo Alto offers several gardens, such as this one at Pardee Park. Eleanor Pardee Park offers picnic areas, play structures and a colorful garden for teens to enjoy. It also contains an oak tree which is so gnarled that kids can walk up its trunk without using their hands. Located on Channing Ave. near Center Dr., Pardee is both spacious and peaceful, providing a spot to hang out, draw, or simply relax in the shade of one of its many trees. What else can you tell me about the Gunn Tunnels?